Wheels and tires are often excluded by mainstream insurers, but where the rubber meets the road is where you’re likely to have a problem. Advanced tire technology means that today’s rubber is more durable, resilient, grippy and more innovative than ever. 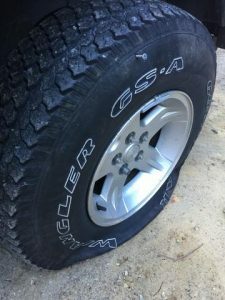 Even the best tire, though, can develop a fault and fail if you run over something sharp. For example, BMW tire and wheel protection is a great policy. BMW tires and wheels can range from $400-$700 for select models, and the price only gets higher. Changing tires and wheels more than once will only get more expensive, so it adds up. When you buy a tire and wheel protection policy, you’ll be covered for more than one incident. Add the cost of the work and it’s easy to see how tire and wheel protection is actually an investment that will save you money in the long run. Get the policy that suits you and rest assured that you have solid road hazard insurance for tires. If the worst happens, we’ll take care of you. That’s when you might be glad you took out your discount tire and road hazard warranty. You don’t have to worry about a thing, just get in touch and we’ll help you get back up to speed. So if you need a Continental tire warranty, BMW tire and wheel protection, or the same package for Toyota or any other make, you’ll find the right deal at Wheel and Tire Care. There are no other fees and/or deductibles associated with the warranty. It is just a one-time charge for the entire cost of this policy. Depending on the make and model of your vehicle, warranty duration, and coverage type, the pricing will vary. Get in touch, and let us give you peace of mind.